To showcase its new 16-bit system’s technical capabilities, Nintendo of America delivered internally-developed tech demos for the Super Nintendo to licensed U.S. game developers. I recently managed to secure one such tech demo that specifically demonstrates the power of the DSP-1 chip. 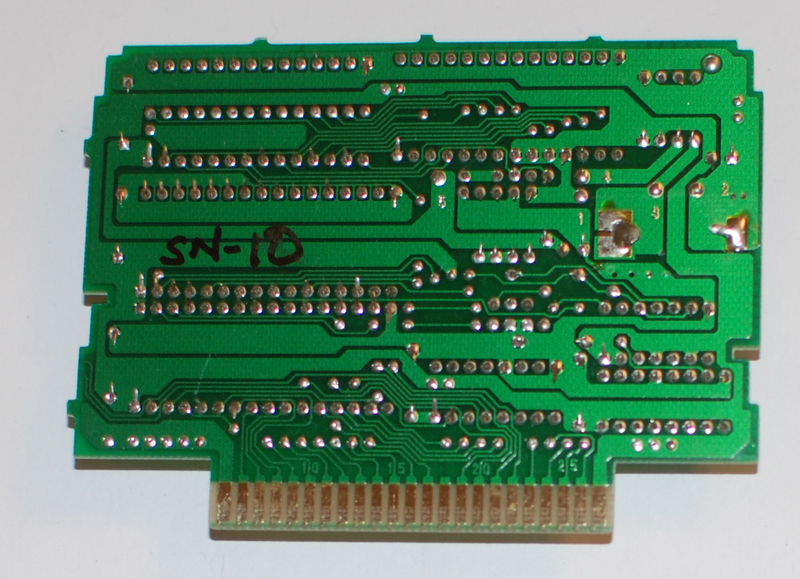 The DSP, short for Digital Signal Processor, is a special enhancement chip used to perform additional processing, such as 3D coordinate calculations, in compatible Super Nintendo games. DSP-1 was the most commonly used of the four DSP chips. 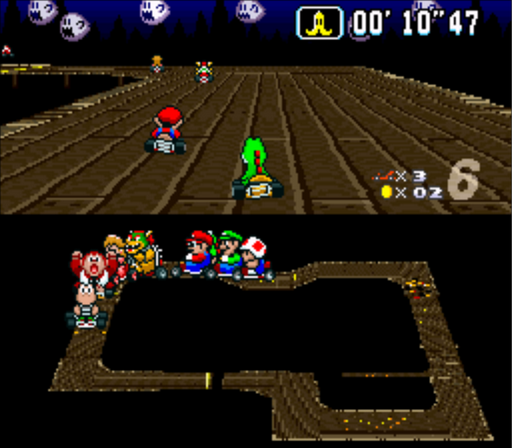 Major headlining software like Pilotwings and Super Mario Kart utilized the DSP-1, as did several other third-party racing games and a handful of sports and fighting titles. 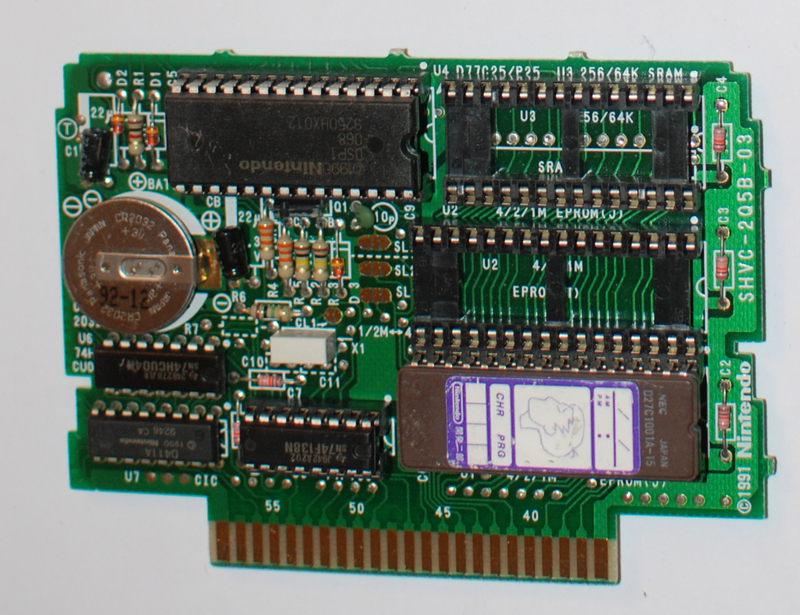 Nintendo sent this particular development board to Iguana Entertainment’s offices in Sunnyvale prior to the official release of the Super Nintendo. One of the first studios in the U.S. to develop for the system, Iguana Entertainment is probably best known for its NBA Jam console ports. 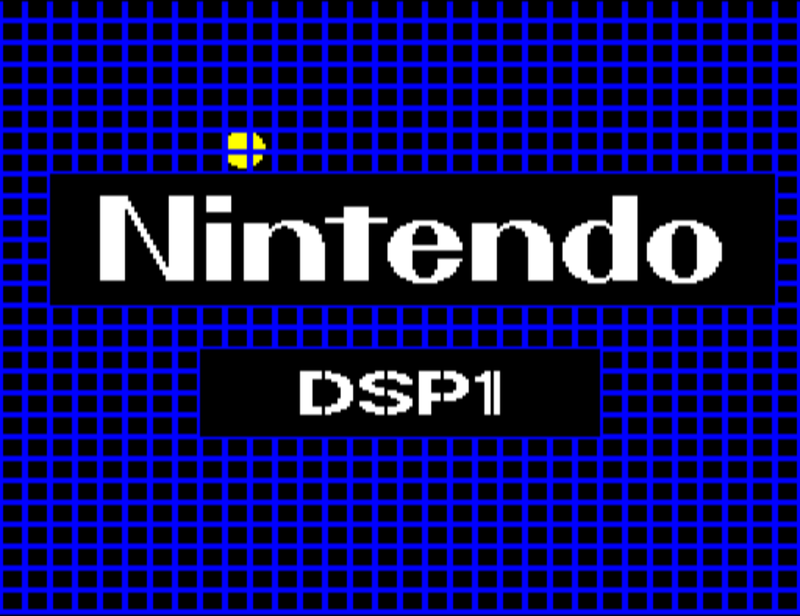 The tech demo starts with the words “Nintendo DSP1” centered in the middle of a very Tron-esque blue wire-frame grid. 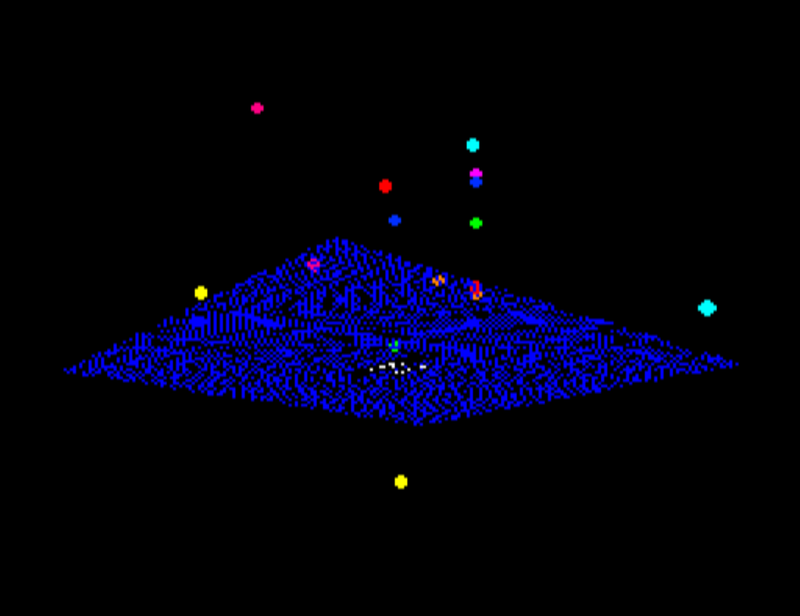 The screen can be rotated 360 degrees and zoomed in and out to show different perspectives of the grid and the multi-colored balls that float above and below at various heights. Pressing Start will restart the tech demo back to the beginning again. The Japanese computer and telecommunications giant Nippon Electric Company (“NEC”) debuted the NEC µPD7710 in 1980 as the world’s first Digital Signal Processor. 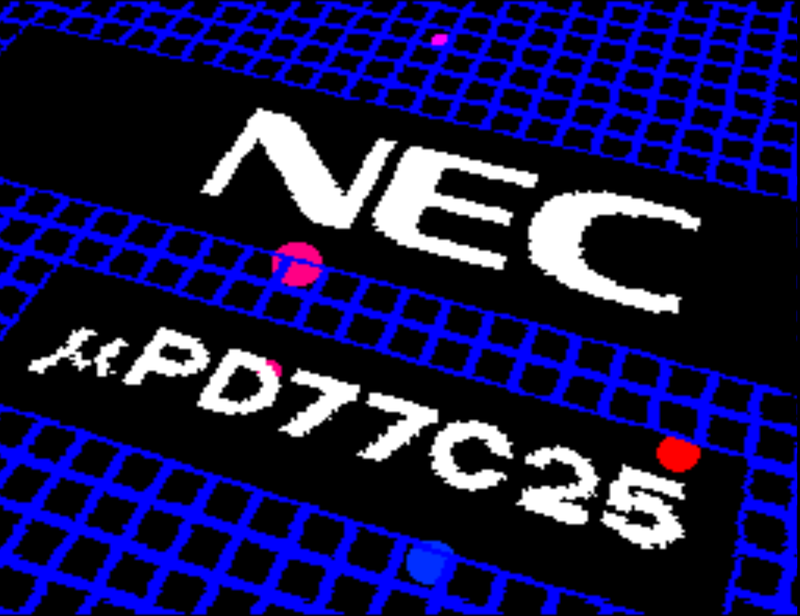 A hardware company at heart, NEC would later partner up with Hudson Soft to co-develop the PC-Engine and TurboGrafx-16. After backing up the prototype, there were initially emulation issues caused by the ROM image not having a header ID that recognized the presence of a DSP-1 chip. No emulator could properly run the tech demo as a result. It only takes a few simple steps to get the tech demo up and running. First, grab the back-up here. Next, download and extract this .zip file and the latest higan release. Rename “DSP-1 Prototype.sfc” to “program.rom” and place the file in the unzipped “DSP-1 Prototype.sfc” folder. 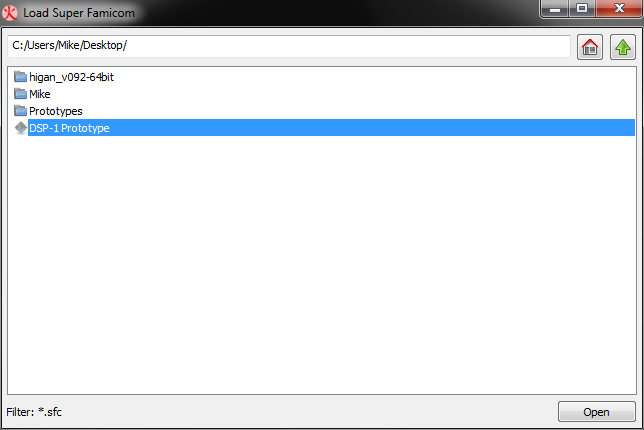 Open higan, choose “Library,” then “Super Famicom…,” and navigate to the “DSP-1 Prototype.sfc” folder. Double-click on “DSP-1 Prototype” to load. 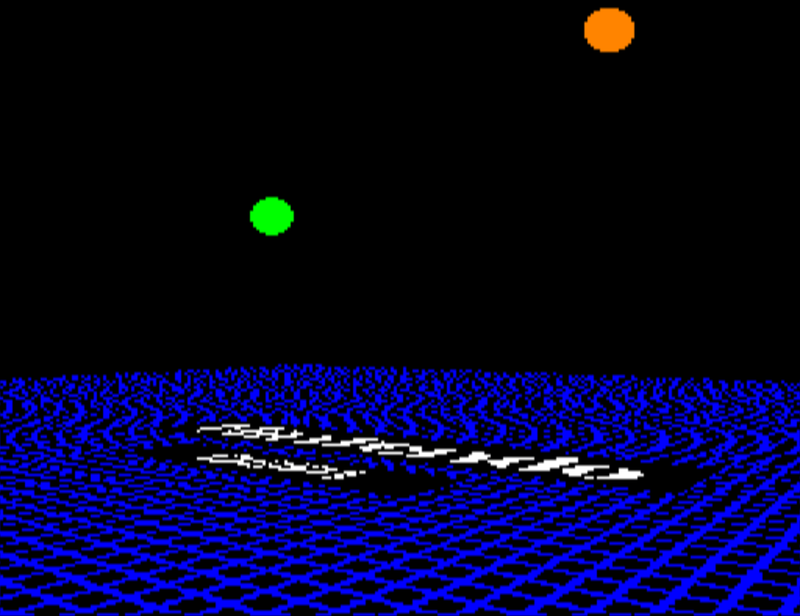 This is, to the best of my knowledge, the first official first-party Super Nintendo tech demo to be made publicly available after all these years. I am thrilled to have this rare artifact of 16-bit era Nintendo development history saved and documented.